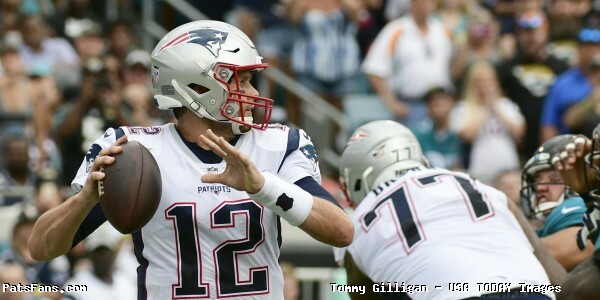 The Patriots return home to the friendly confines of Gillette Stadium in Foxboro to take on the Jacksonville Jaguars. 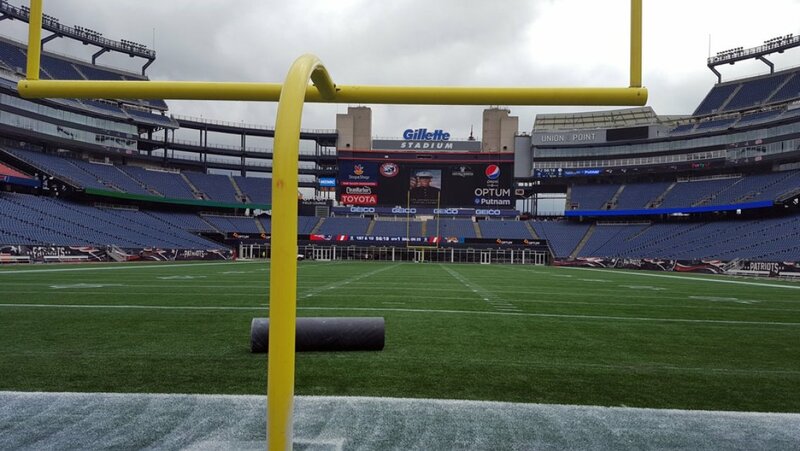 The game is scheduled for 1 p.m. and will be televised locally on WBZ-TV. The Jaguars are a bit of an unknown for the Patriots; Bill Belichick told the team exactly that in the post-game locker room in Buffalo. 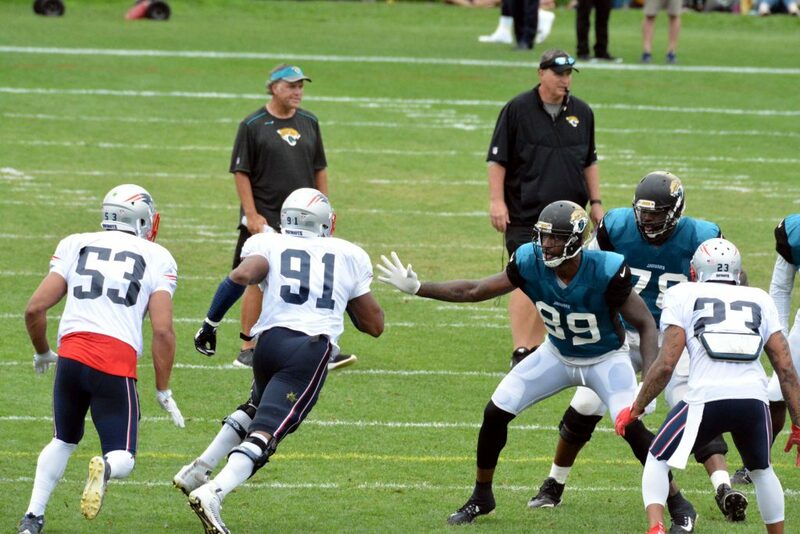 They don’t see the Jaguars play very much so the team is a bit unfamiliar to them. This will be the first time the Patriots face off against them with head coach Gus Bradley who came over from the Seahawks last year. 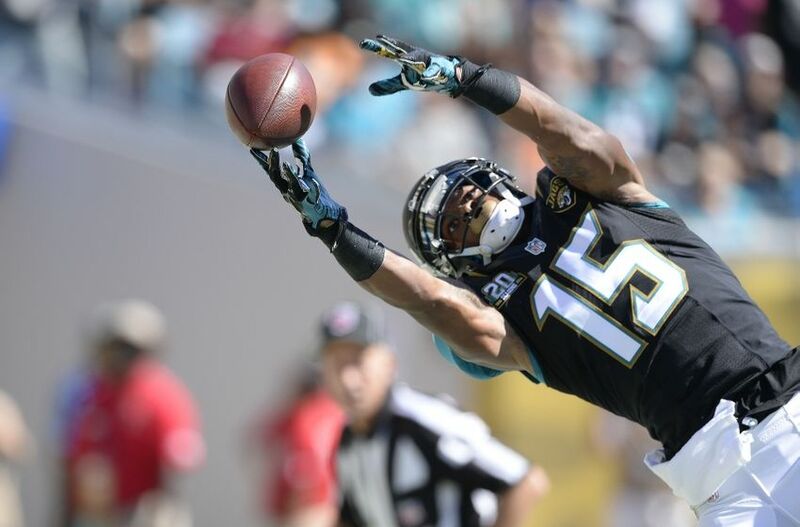 The Jaguars upset the Miami Dolphins 23-20 on Sunday; Allen Robinson had with 6 catches for 155 yards and two touchdowns. QB Blake Bortles had a solid day as did the Jacksonville defense. 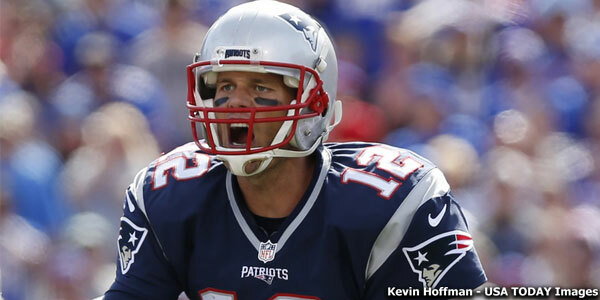 The Patriots enter after dispatching the Buffalo Bills 40-32 on Sunday. Tom Brady had the second most yards in a game (466) in his career and the team improved to 2-0. The defense registered eight sacks and three interceptions. Gus Bradley Has them Handling Adversity: Maybe it was just baby steps last week but looking at the tape the team is building up their confidence level. After being up early in the game, Miami tied it at 20. The Jaguars had numerous chances to fold up their tents and drop this game but they didn’t. They put together a solid effort and kicked the winning field goal to defeat the heavily favored Dolphins. 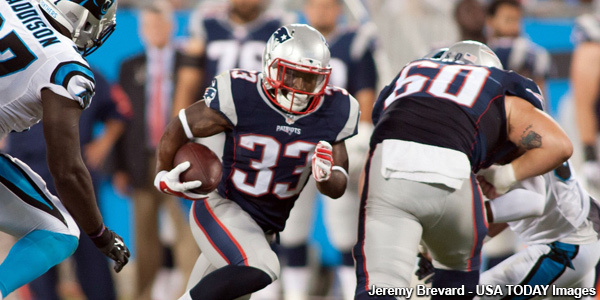 Bradley is molding a good solid team in Jacksonville. They may not be ready just yet, but they are moving in the right direction. Much like last week’s opponent, this team is a reflection of its head coach. But this week, the Jaguars are not going to beat themselves with stupid penalties and let the events of the game overwhelm them. Offense is Improving Week by Week: Just a week after allowing five sacks in the opener, the team allowed zero against the stout Dolphins front seven. Left tackle Sam Young filling in for an injured Luke Joeckel was particularly solid. The Jags were perfectly balanced on offense with 33 runs and 33 passes and while they didn’t gash Miami, RB T.J. Yeldon with 25 carries made the Dolphins respect the run enough to make play action effective. Robinson was outstanding, burning Brent Grimes for a 36-yard reception, and wrestled the ball away from a defender for a 52-yard catch later in the game. He was on his way to breaking the team’s rookie receiving record last season before breaking his foot in Week 10 and missing the team’s final six games. But the former Penn State WR turned in solid numbers, 48 catches, 548 yards and 2 TDs in 10 games. Now he’s ready to take the next step and will require lots of attention on Sunday. 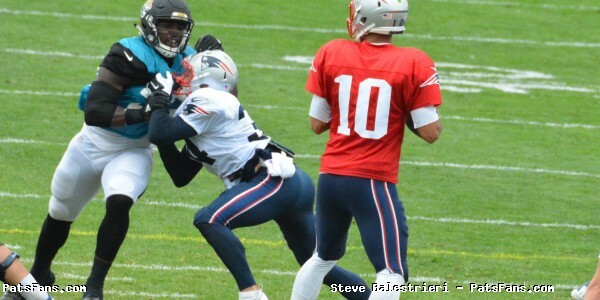 Blake Bortles had his first 100+ QB rating last week and is looking to build off of that. He still made some questionable throws against Miami but has a talented supporting cast with Robinson, Marquise Lee, Allen Hurns as well as tight ends Julius Thomas (injured) and Marcedes Lewis. Defensive Front Seven is Solid…and Big: The Jaguars have a solid defensive line with veteran SenDerrick Marks, Andre Branch and newcomer Jared Odrick. Odrick was impressive facing his former team in the Dolphins last week. He consistently put pressure on Ryan Tannehill, registering a 4th quarter sack and will be looking to do the same against Tom Brady. The Jaguars front four boasts three of its starters over 300 pounds and they can stop the run as well as bring pressure on the quarterback. Linebackers Dan Skuta and Telvin Smith are both playmakers for the defense; flying all over the field and each had a pass defensed on Sunday. Injuries Test Running Back Depth: While the Jags stuck with the run and gained 123 yards on 33 carries with Yeldon leading the way with 25 of them, they suffered a significant loss when Dennard Robinson went down with a knee injury and is expected to miss a few weeks. With Toby Gerhart already injured it leaves Jacksonville with just three healthy running backs coming into Foxboro; Yeldon, Bernard Pierce and Corey Grant. Secondary plays thru Injuries: Last week against the Dolphins, the Jaguars entered the game already minus starting safety Jonathan Cyprien and their #3 corner in Dwayne Gratz. To make matters worse, they lost starting cornerback Davon House for a time due to dehydration and yet the secondary played solid. 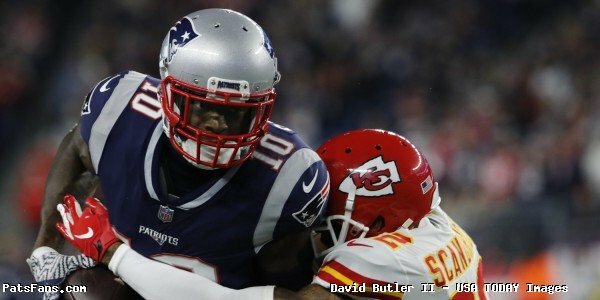 It is a testament to Bradley that despite missing these players, they have a true “next man up” preparation in place and don’t just give it lip service. Aaron Colvin missed a few plays with leg cramps and at crunch time reserves Demetrius McCray and Peyton Thompson played key roles in stopping the Dolphins on their final opportunity. Even former Auburn QB now turned DB Nick Marshall found his way onto the field and played a few meaningful snaps. That’s the kind of thing we’re used to seeing in Foxboro with Bill Belichick. And that is the kind of program that Bradley is beginning to put together. 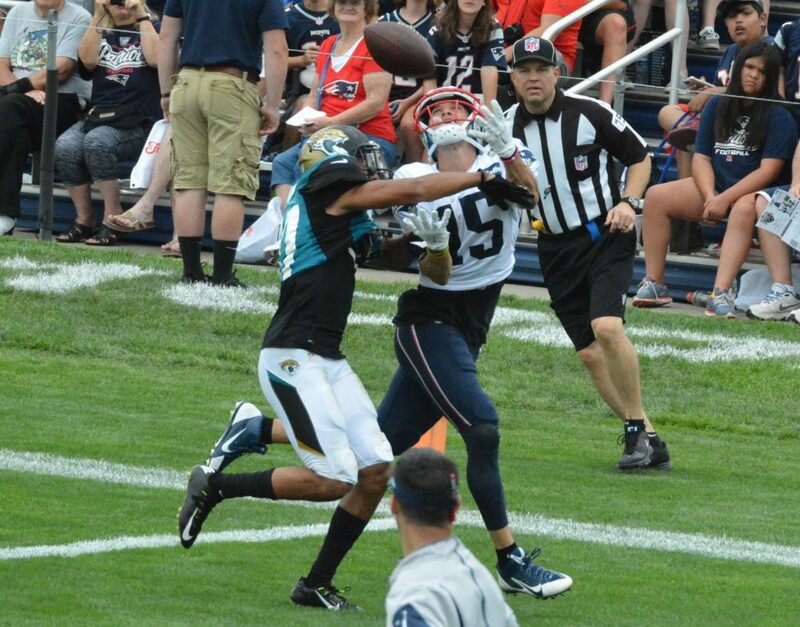 This entry was posted in Patriots Commentary, Patriots News and tagged 2015 NFL Season, Allen Robinson, Bill Belichick, Blake Bortles, Dennard Robinson, Gus Bradley, Jacksonville Jaguars, Jared Odrick, Julius Thomas, New England Patriots, NFL, Patriots, T.J. Yeldon, Tom Brady on September 22, 2015 by Steve Balestrieri.